Beth has worked in maternal-infant health since 1980. She received a B.S. from Northwestern University and a BSN from Rush University, after which she worked as a labor and delivery nurse, childbirth educator, and lactation consultant for many years. Beth earned a MPH from University of Illinois at Chicago. Her MPH thesis examined the impact of community-based doulas on rates of breastfeeding initiation among teen mothers on the west side of Chicago. This led to many years of work as a trainer of community-based doulas. Beth contributed to the book, The Community-Based Doula: Supporting Families Before, During, and After Child Birth. She also collected and edited the stories of community-based doulas in Sharing Our Stories, wrote a chapter on breastfeeding for the Textbook of Breast Disease, and contributed to the Illinois Breastfeeding Toolkit. Anne is the Managing Director of New Coast Foundation, a venture philanthropic fund which invests in organizations working to alleviate poverty in Chicago. Prior to joining New Coast, she consulted with nonprofit leaders to help problem-solve development and program challenges faced within their organizations. She also worked with the UN Refugee Agency, The US Refugee Program, and other organizations prior to founding Heshima Kenya, a nonprofit that empowers refugee women displaced in Kenya. She has a BS in Social Work from University of Minnesota and an MA in International Relations from American University. Charlotte worked as a labor and delivery nurse and mother/baby nurse at John H. Stroger, Jr. Hospital of Cook Country from 1981-1992. She was the OB nurse discharger planner from 1992-1998, and from 1998-2011, she was the perinatal outreach educator for Stroger Hospital Perinatal Center, presenting education to nurses and physicians at the network hospitals. During that time, she also worked as the lactation consultant and coordinated the breastfeeding program for the hospital, which was a peer counselor-based program. From 2002-2005, she volunteered as a doula for pregnant women incarcerated at Cook County Jail delivering at Stroger Hospital. She retired in 2011 but volunteers with organizations providing pregnant and parenting women and families in underserved communities. Andy Isaacs is a Research Associate Professor in the University of Chicago’s Physical Sciences Division. He directs UChicago STEM Education; leads the team responsible for Everyday Mathematics, the elementary program from the University of Chicago School Mathematics Project (UCSMP); and teaches number theory for the University’s Urban Teacher Education Program. Isaacs taught fourth and fifth grades in Chicago-area public schools from 1977 until 1985. 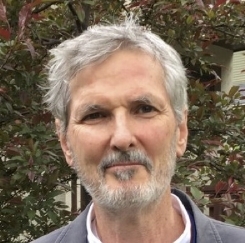 Isaacs received a BA in classical Greek from Northwestern University in 1974, an MST in elementary education from the University of Chicago in 1977, and a DA in mathematics from the University of Illinois at Chicago in 1994. Dr. Ellen Mason is an internal medicine physician who has worked in the field of maternal fetal medicine and women’s health for thirty years. She holds faculty appointments at Feinberg College of Medicine, Northwestern University and is an adjunct faculty member at the University of Illinois School of Public Health, Center of Excellence in Maternal and Child Health She is an attending physician at the John H. Stroger Jr. Hospital of Cook County, the only public hospital serving Cook County and surrounding collar counties. She is a founding board member of EverThrive Illinois (formally the Illinois Maternal and Child Health Coalition). For most of her career she has advocated for increased and improved access to quality health care in maternal and child health at the federal, state and local level. 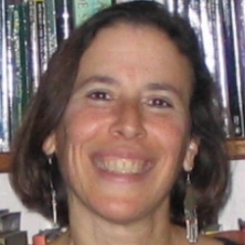 Her research interests and projects have focused on chronic disease in women across the lifespan, chemical dependency in pregnant and parenting women, breastfeeding in women with chronic disease, HIV/AIDS, reproductive justice and the study of racial and ethnic health disparities, particularly in women of childbearing age.